Oil pulling has become popular in recent years, but it dates back thousands of years. In fact, it originated in India and has its roots in Ayurveda. Traditionally, it was used as a way to clean the teeth before brushing became the norm. Today, those who practice Ayurveda still swear by its effectiveness for oral health. Oil pulling can bring you many health benefits, as well as some cosmetic benefits. There are scientific studies as well as firsthand testimonials of many wellness researchers. It's a simple activity that takes a mere 20 minutes. This small amount of time could prevent you from painful dental procedures like fillings. Keep reading to learn more about oil pulling, including what it is, how it works, the benefits, and some tips for doing it the right way. Coconut oil is most commonly used for oil pulling but other oils can be used too. But, for the sake of taste, stick to coconut oil. A good organic coconut oil is inexpensive and you can pick it up at almost any grocery store. To practice oil pulling, you must swish the oil around in your mouth for a total of twenty minutes. This is like a “deep clean” for your gums and teeth. In fact, coconut oil is actually antimicrobial, so when it's swished in your mouth it's killing harmful toxins and bacteria. Oil is very gentle on your teeth and has no harsh chemicals capable of stripping the enable from your teeth. The main benefit of oil pulling is that it removes plaque from the teeth. At the same time, it leaves behind a protective layer of antibacterial nutrients. It freshens your breath and even whitens your teeth! You can even avoid harsh whitening strips by simply oil pulling. Oil pulling came to the U.S. in the 90s but has slowly been growing in popularity. So, what is the magic behind oil pulling? The science behind oil pulling is that it pulls out microorganisms that can cause gingivitis and plaque. The exterior of the cells of microorganisms has a fatty membrane. Oil, too, is a fat. So, when the oil comes into contact with these other sources of fat they attach to one another. In essence, the coconut oil is like a magnet for removing unwanted bacteria from your mouth. Also, the lauric acid in coconut oil gives it its antimicrobial characteristics. There are many benefits to coconut oil pulling. Coconut oil has even been proven to protect teeth from decay. This means if you have a cavity you may be able to avoid undergoing a painful filling and instead heal the tooth by consistently oil pulling. The oil actually remineralizes the teeth. This is the reverse of getting a cavity because your teeth are losing minerals and deteriorating when you experience tooth decay. Other Benefits – a Natural Teeth Whitener? Oil pulling does more than increase your gum and tooth health. It actually whitens your teeth and freshens your breath too. As you remove the plaque from your teeth during oil pulling, your teeth will appear whiter. Furthermore, the bad taste and smell you experience in your mouth in the morning is from the build-up of bad bacteria. By removing the bacteria, you'll also remove all the stink that comes with it. But, if you are want to enjoy the health benefits of oil pulling you must understand how to safely do it. It's a fairly simple activity once you become more familiar with the process. But, it's essential that you start by following the guided instructions. In a short while, your practice of oil pulling will become intuitive. As mentioned, I recommend coconut oil for its taste, antimicrobial benefits, and affordability.Yet, if you prefer sunflower or sesame oil then you can substitute either of these oils as a replacement for coconut oil. Always make sure that you are using 100% certified organic oil. You don't want to put anything in your body that could contain harmful pesticides. Otherwise it would be counterproductive to all the health benefits you are in pursuit of. Once you've chosen a good organic oil, you're ready to proceed with the steps below. It is important that you oil pull first thing in the morning. Overnight, bad bacteria and toxins have the potential to build up in your mouth. Remember that consistency is key! You'll start to reap the benefits of oil pulling immediately. But to maximize these benefits you'll need to repeat this activity daily. If you want to track your progress, try taking a photograph before your first oil pull. Follow up every week by taking more photos. Over time you should see the cosmetic differences in your smile. First thing in the morning, place 1 to 2 tablespoons of oil into your mouth with a spoon. By playing with measurements you'll find the amount that is most comfortable for you. This may take a few tries, but don't become discouraged. It takes a little getting used to, but you'll get the hang of it! Remember, you want to oil pull before brushing to maximize the “pulling” benefits. Most people find the coconut flavorful to be delightful, but if you don't you can add a drop of food grade peppermint essential oil for a more minty taste. The calming therapeutic effects of these scents is an added bonus. Be aware that your first time, you may have a slight gag reflex since you’re not used to having oil in your mouth. Especially with coconut oil which will be solid when it goes it, but starts melting in your mouth. This is why you might want to start with a smaller amount first. Gently swish the oil around your mouth for 10-15 minutes at first, gradually working up to about 20 minutes. You may prefer to do this while you are doing something else, like taking a shower or getting ready for your day. If twenty minutes seems too long, then begin with shorter pulls and work your way up to twenty minutes over several weeks. After the twenty minutes is up, spit the oil out. You can either do this into a waste bin or if you prefer, outside. But, it is never advised to place oil down a sink because this could result in the clogging of your pipes. Don't worry if you notice the oil is discolored when you spit it out. This just means that it's working so don't worry about it. Rinse your mouth with warm salt water. Salt water has healing properties. Which is why people from around the globe travel to the salty waters of the Dead Sea every year. In fact, it is a homeopathic home remedy for reducing gum pain. So, if you're feeling any gum discomfort then following this step is an added bonus. You can swish the salt water in your mouth for as little as three seconds and up to three minutes. Also, the warm water will help you get a good rinse, removing extra oil before brushing. Brush and floss your teeth to remove any excess residue and to finish cleaning your gums and teeth. Make sure you are using an all-natural and chemical free toothpaste. If you use mouthwash, avoid anything with chemicals as well. But, you'll be happy to find that you'll already have a fresh breath because you've just oil pulled. 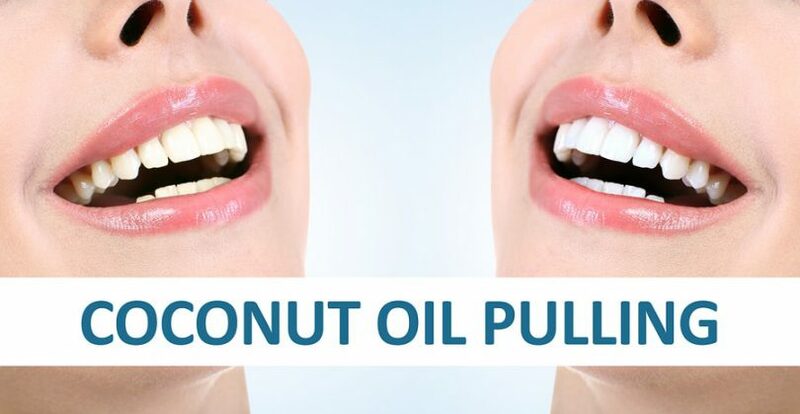 The most important thing to avoid when oil pulling is swallowing the oil. Now that you understand the science behind this process and the “pulling” effect, you understand why you don't want to swallow what's in the oil. Once you've swished the oil around in your mouth it contains bacteria and toxins that you don't want to ingest. Next, I cannot stress enough how important it is to be consistent. Though you will experience benefits after your first swish, you must practice it long term if you want to reap all its health and cosmetic benefits. For example, it may take several weeks before you start to notice a cavity starting to improve. Don't be afraid to customize your oil pulling experience. Stick to the guideline above, but don't be afraid to tailor your oil pulling experience to make it the most enjoyable it can be for you. For example, this may mean tweaking the time in the beginning or by adding essential oils. Also, adding Vitamin E oil helps promote the regeneration of healthy gum tissue. Apply the oil directly to gum before adding the coconut oil to your mouth and then swish away! You can also benefit from oil pulling if you want better-smelling breath and whiter teeth. This is the true beauty of adding oil pulling to your daily holistic health and beauty regimen. The benefits of coconut oil pulling are truly abundant. 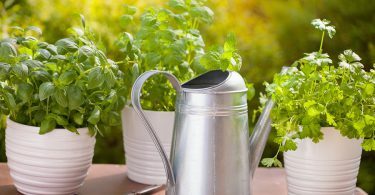 Adding this simple Ayurvedic ritual to your routine is a simple way to incorporate a daily detox to your life. But it is only the beginning. One of the questions I get asked about most is: How do I create a lifestyle that helps me optimize my body's self-healing abilities? Well, first off you need to understand your own individual body type. 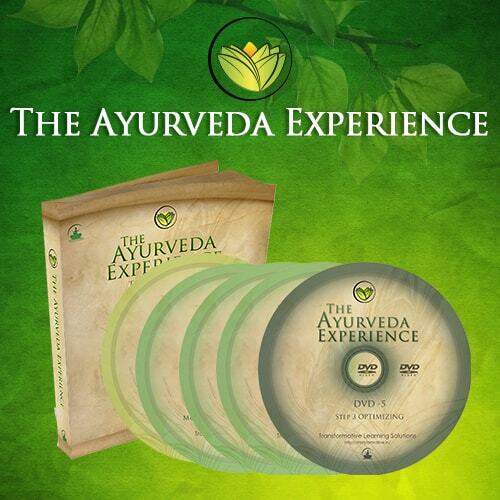 The Ayurveda Experience will help you truly understand your real body-type and personality. Once you know that, then you will know how to correctly adapt and optimize your lifestyle to attain that perfect balance. So, I invite you to come along with me and discover the Science of Life for yourself with The Ayurveda Experience. With this course, you get everything you need to experience holistic health and wellness. The course makes it easy for you to start right where you are, with what you already have. All of the concepts are clear and simple to integrate into your life as much or as little as you choose. You can read my full review here. And as always, if you have any questions or comments, please be sure to leave them for me in the comment section just below. 10-4-18 UPDATE : You can now receive The Ayurveda Experience for as a FREE BONUS GIFT for purchasing Modern Ayurveda. If you've ever wanted to learn a practical approach to understanding and implementing the health benefits of Ayurveda, Modern Ayurveda is worth diving into. Also, the fact that right now Transformational Learning Solutions is offering to give you The Ayurveda Experience for free as a bonus gift for purchasing. These two programs together will give you well-rounded Ayurvedic knowledge. I searched for years to find a program to learn Ayurveda and how to live an Ayurvedic lifestyle back around the year 2000. At that time there was nothing available, so I ended up enrolling and studying at The California College of Ayurveda. 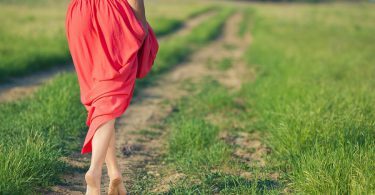 That experience changed my life because it taught me how to live in harmony with the natural laws of the universe so I could heal and ward off common and chronic ailments. That experience was expensive (over 15k) and took 3 years… But it was worth every cent and second. Modern Ayurveda and the bonus gift, The Ayurveda Experience will give you your own experience from the comfort of your own home, for a fraction of the cost. There is a wealth of useful information and the vibe is like having a knowledgeable friend teaching you everything you need to know about this sacred science. Very interesting article on oil pulling. I have heard of it and it’s benefits but never really understood the process involved. My hubby has gum issues and has his teeth/gums cleaned 4 times a year instead of the usual 2 times. I wonder if oil pulling would help with this? We have a local (small town) massage therapist that uses the Ayurveda method and I love learning from her about the benefits. Thank you for providing such good information! Hi Lisa! Yes, certainly give it a try! The key is consistency! I have been having problems with my teeth for years and I basically tried everything. It has been good for a while but I want to use natural products like coconut oil. How frequent should I use it? But for a while, I want to use my old products as well. What do you recommend for me? Follow the oil pulling instructions in the post and do it every single day! It’s perfectly fine to keep brushing your teeth with whatever products you’re currently using.